Welcome to the Ultimate Guide to Pagudpud! You will be glad that you read this guide first before going to Pagudpud. Please make sure to check the comments where you can find valuable information and tips from other readers like you. Enjoy your trip to Pagudpud! Live an Awesome Life! PS. I moved the Pagudpud travel guide back to www.OurAwesomePlanet.com domain coming from Pagudpud.awe.ph. I'm tempted to attend EuroWine @ Mandarin Oriental Manila this coming June 5, 2008 8PM Thursdays. But I'm still contemplating if the P3,000 nett price tag would be all worth it. I wanted to learn Food and Wine pairing and this is the perfect way to experience pairing European food with European wine — Eat all you can and Drink all you can. BTW, thanks to all OAP friends who shared their advice on where to learn Food and Wine pairing. The Best Recommendation so far is Chef Gene Gonzalez's Center for Asian Culinary Arts @ Cafe Ysabel. They have a basic course for 65,000k for 20 Saturdays (or Sundays). The tuition fee includes ingredients, a Chef's kit with the chef's knife, uniform, manual, wine pairing dinner class, and cocktails during graduation. 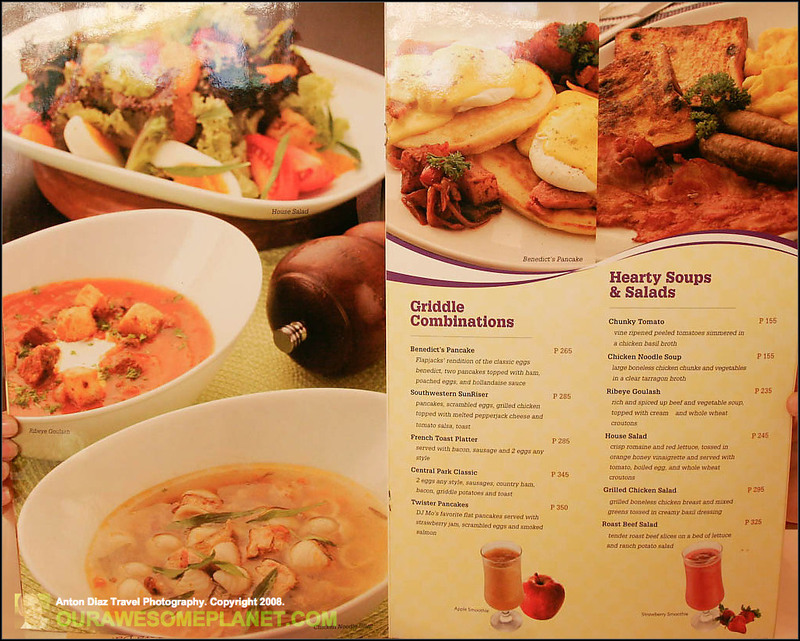 Plus, they also add in a basic French class for better pronunciation and understanding of the French cooking terms, . Alternatively, I can just attend the three-day wine seminar of Chef Gene Gonzalez which is part of their diploma course. In the meantime, I plan to hang out in the first online Wines and Spirits Club in the Philippines founded by Gianina Gonzalez (daugther of Chef Gene). Euro Wine featured dishes include Spain's Paella, Portugal's Bacalao and egg tarts, Germany's Thuringer sausages, and roast pork knuckle saukerkraut, France's Coque au vin and oysters, Austria's Wiener Schnitzel and linzer torte, Switzerland's Cervelat and Cheese Salad, and Italy's antipasti and tiramisu. You can pair it with the Old World Wines from Austria, Switzerland, Spain, Portugal, Italy, France, and Germany. I attended the tasting preview in Mandarin and we got to pair the heavy goulash soup with Terre di Chieti's Sangriovese, Cabernet Sauvignon or Merlot. Each wine enhances a different flavor of the food — its sweetness, spiciness or its pepper taste. I personally like the combination of sweet desserts with Asti wine. Accordionist Rudolf Kubis will perform on that night. He will be joined by Skaramouche, a jazz trio from Switzerland, Franz Langer, Austrian folk music singer , and Cynthia Saunders, Martini's bar jazz singer to provide entertainment for the Euro Wine Night. For tickets and inquiries, call 750-8888 ext 2401. Or the Lobby Shop at Mandarin Oriental, Manila. Best Piaya in the Philippines is available in Manila! Bailon’s Piaya (P70 per pack of 10). I love Piaya and I just learned this foodie secret from Manny. 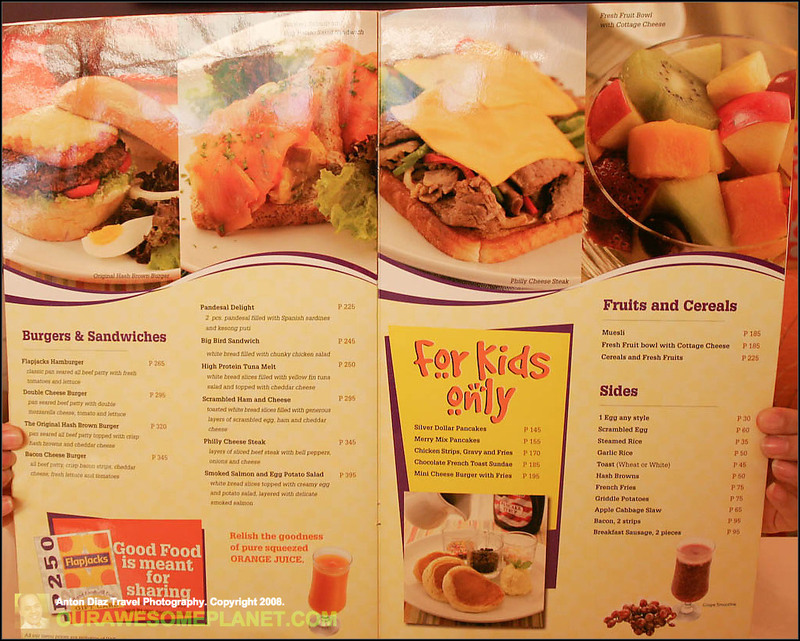 The Best Piaya in the Philippines is Bailon’s Piaya and it is available in Manila! It is crispy thin but airy. The thin coating of muzcovado inside is evenly spread out so that you get a taste of it in every bite. I love the toasty taste of sesame seeds with my piaya. It is crispy when you bite into it but it becomes chewy as you go along. Small Fresh Lumpiang Ubod (P18 per piece). They also sell these yummy bite-sized lumpia for P18 per piece which would be great for potluck sessions. Remember to keep them refrigerated because it can spoil easily. Big Lumpiang Ubod (P28 per piece). A bigger version of the lumpia. Flapjacks is a thin, crisp but chewy pancake with a large diameter. 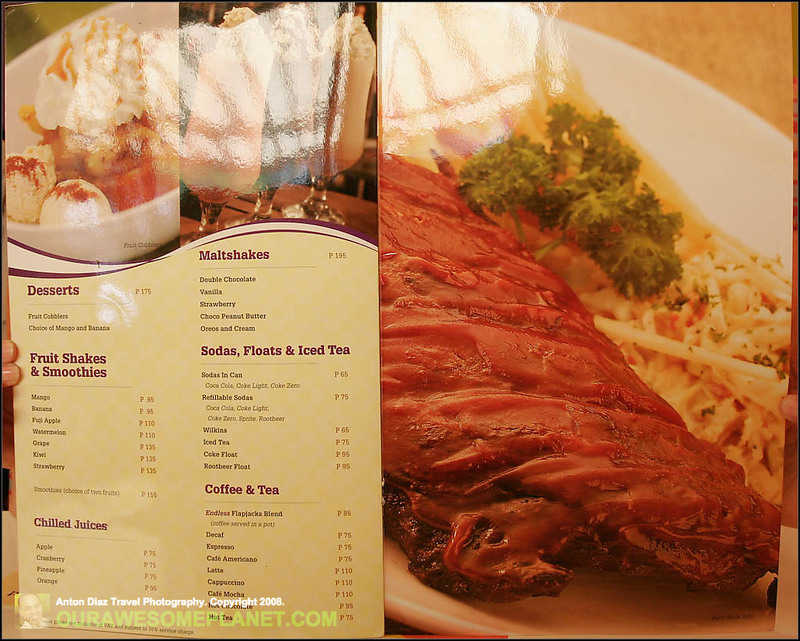 This is also the name of the first local venture of Bistro Group of Companies located in Greenbelt 2. 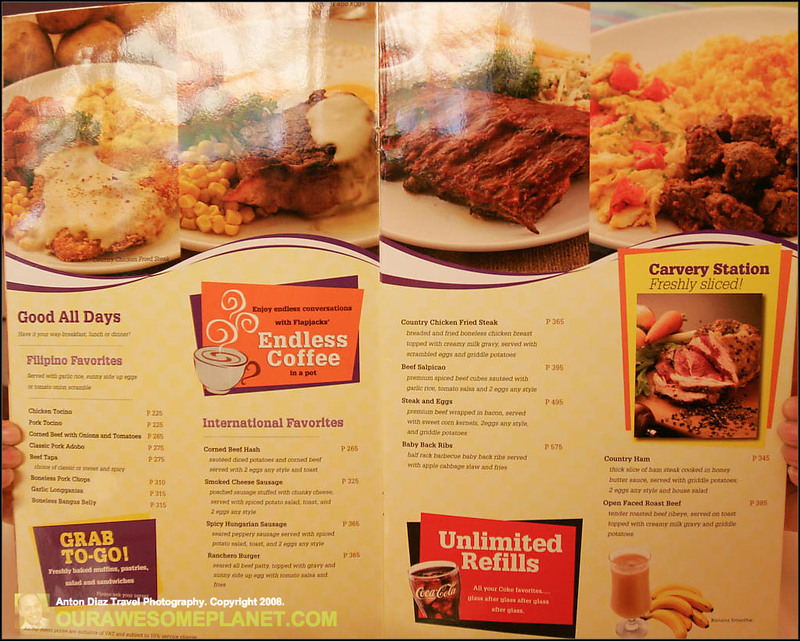 Bistro Group is known for the popular International restaurant franchises in the Philippines. This includes: TGI Fridays, Italianni's, Outback Steakhouse, and Fish & Company. We were mesmerized by the orange-yellow-purple color combination with repeating shapes combination that hypnotizes you to go in. Spot.ph Editor described it as homey, retro and psychedelic like in an Austin Power movie. The food is overrated but the service is outstanding. 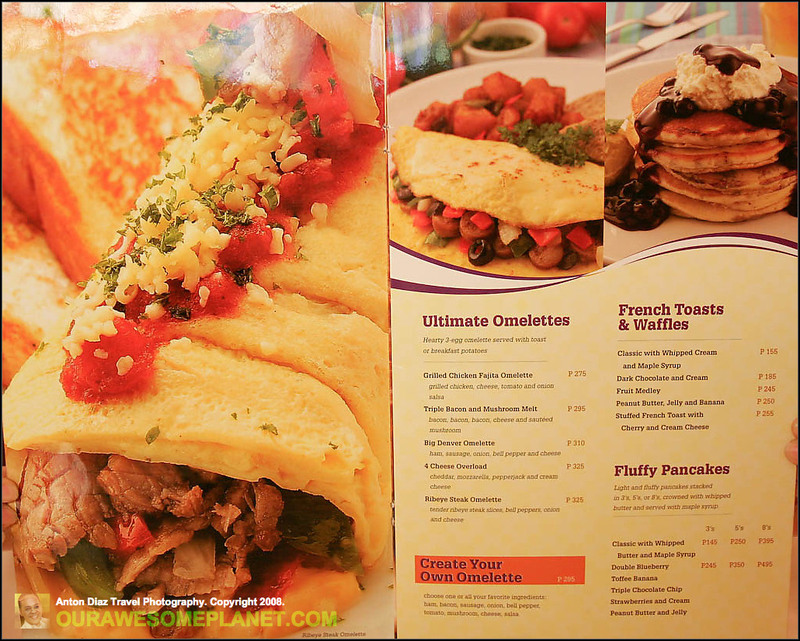 I was hoping that this would replace our favorite breakfast place – Country Waffles, but it failed our foodie expectation. 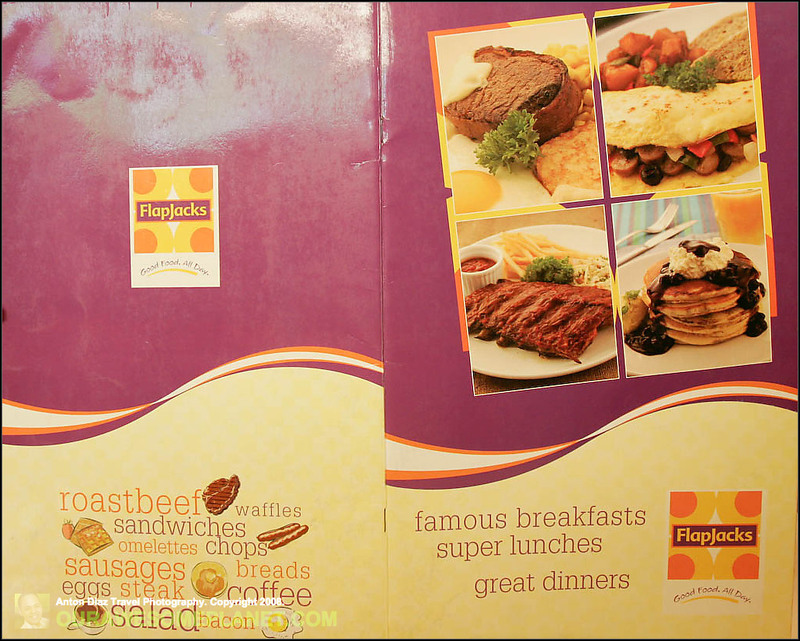 Endless Flapjacks Blend (P85) with FREE Wifi. Coffee served in tea pot. Despite the food, we love to hangout in Flapjacks because of the endless coffee, free Wi-fi, cozy couches and uber friendly service. Rache and I did our family planning meeting in Flapjacks for 8 hours. Light Fluffy Pancakes stacked in 3's (P245). Whipped Butter and Maple Syrup on the sides. You have to eat the pancake with the butter and maple syrup because the taste of the pancake cannot stand on its own.